Save Shawn to your Collection. Register Now! 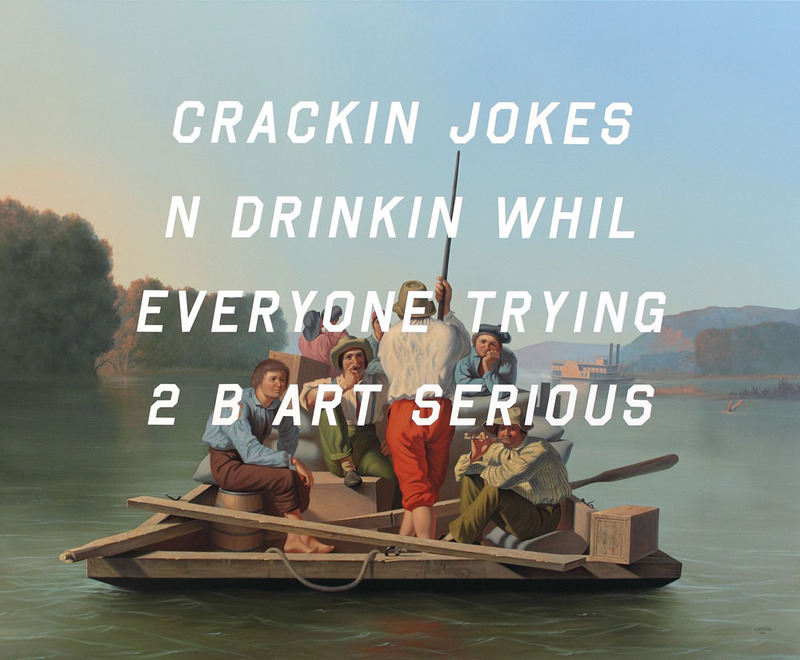 Shawn Huckins bases his work on 18th century American paintings and interjects modern social media jargon. 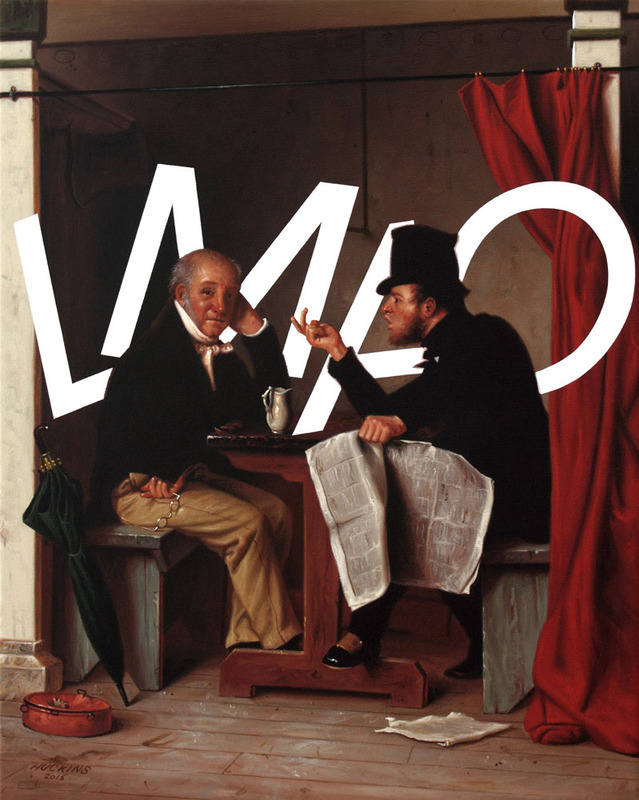 Bold and often humorous clips of text messages or tweets are superimposed on well-known history figures. It is a response to our modern obsession with quick, clipped communication, using art that was carefully created over time. 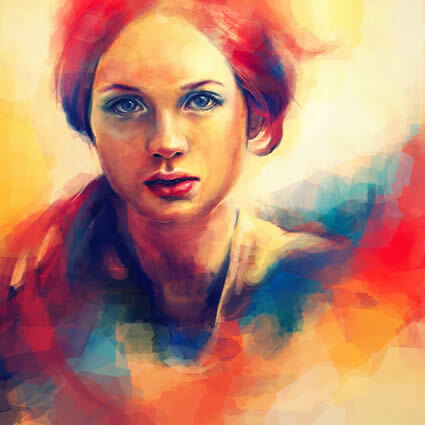 Before becoming a painter, Shawn studied film, architecture and graphic design. His works aren't digitally generated or Photoshopped. Huckins painted each piece by hand, including the lettering. 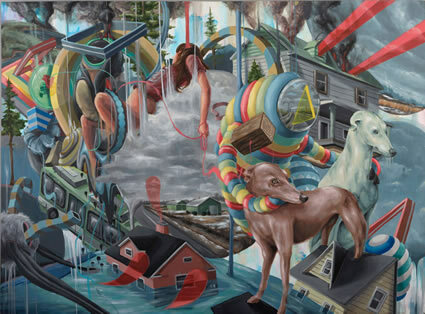 This work is so fresh and current. He is a gifted artist and finally, someone who is highly orginal. So much work these days is a derivative re-tread of something else. I love this guy's work. Keep an eye on him, he's going places in the art world. Dear Zed, You state this work "....appallingly trivial work as this. It speaks to the lack of culture in general.."
Yes indeed it does speak about the lack of communication these days. It seems to be difficult for people to communicate in a 'normal' way with each other. My daughters for instance, don't talk to their friends who are in the same room, they text each other by phone. How poor can you get in your communication skills? I think that is what these paintings are about. What if....could text message, would (s)he use trivial language like this and how would we have reacted to them, retrospectively, if they had? So I think mr.Huckins has a point. I totally get it. 5 out of 5 stars. Great work! lovin it, laughed a little. Cause its so silly. get it? gott it. gahhttt eetttt! 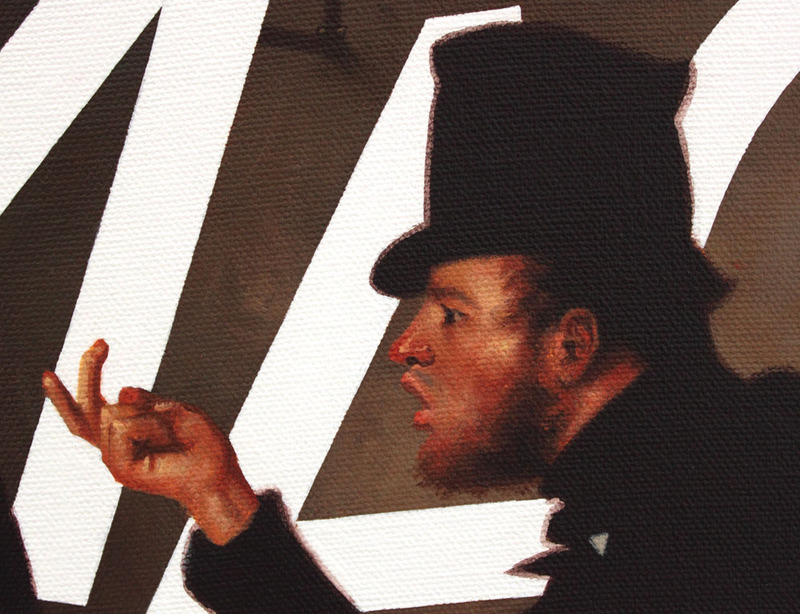 Its a shame that such a gifted young painter should feel the need to produce such appallingly trivial work as this. It speaks to the lack of culture in general, and the need to make an impact. 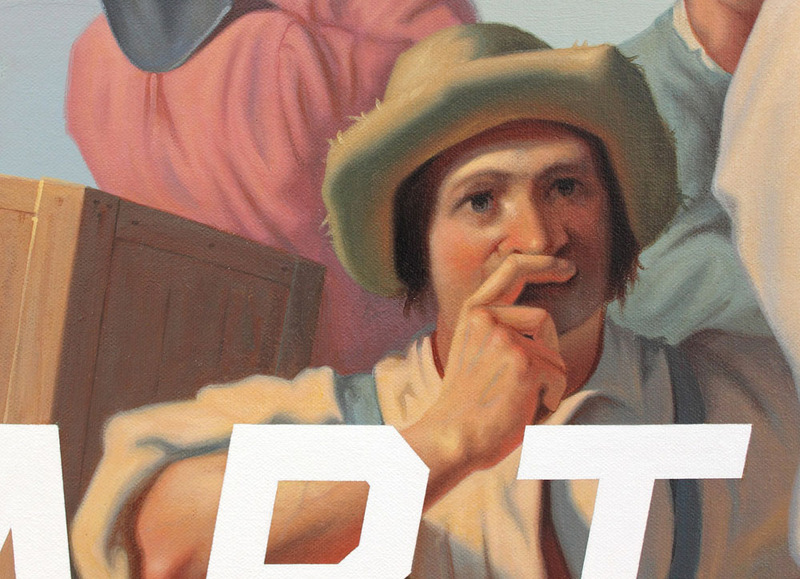 His early work, of storefronts and gas stations is crisply observed, and quite good. This new work is clearly a misstep,as seems to be reflected in his abysmal rating. It comes off as as a superficial and dimwitted attempt to be trendy. Perhaps it would have worked better if he had taken a more serious approach to his theme and actually put more research and thought into his project . I read he admires Ed Ruscha. Someone needs to explain to him that Ruscha didn't deface his own work with other peoples boorish and vulgar thoughts, but that the words were actually witty. I hope he regains his footing, and soon. these made me giggle. i like them. What's the urban jargon for "pathetic"? That's what he'd say.